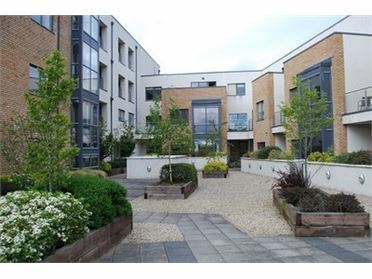 O’Connell Properties are delighted to bring to the market 129 Villa Park Gardens, Navan Road, Dublin 7. A substantial 5 bedroom semi-detached family home with side garage suitable for a variety of uses subject to planning. There is a front garden with driveway and off-street parking and a large and beautifully landscaped back garden. Accommodation extends to c.123.8 sq. metres (excluding garage) and comprises a storm porch, entrance hall, living room, family room kitchen/dining room and garage. Upstairs has 5 bedrooms, 3 are double bedrooms and a family bathroom. The property is in need of some modernisation but has the potential to make a beautiful family home and given the size of the back garden there is considerable scope to extend the property. Located just off the main Navan Road one of the most desirable residential locations on the north side of the City. The beautiful Phoenix Park is only 200 metres away, the City Centre 4kms and the M50 Motorway 2kms. There are numerous social, sporting and recreational clubs/facilities in the local community and an excellent choice of national and secondary schools. 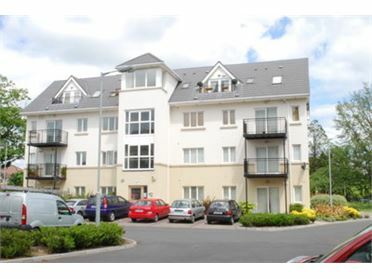 O’Connell Properties are delighted to bring to the market 30 Kinvara Park, Navan Road, Dublin 7. A 3 bedroom terraced family home with attic conversion located in one of the most desirable residential locations on the north side of the City. There is a front garden with driveway with off-street parking and large back garden with block built garage and lane access. Accommodation extends to c.110 sq. metres and comprises an entrance hall, extended kitchen, living room, dining room at ground floor level. Upstairs has 2 double bedrooms, a single bedroom and bathroom and the attic is converted and presently used as a 4th bedroom. The property is in good condition throughout but would benefit from modernisation and redecoration. This property has the potential to make a beautiful family home and given the size of the back garden there is considerable scope to extend. Located just off the main Navan Road one of the most desirable residential locations on the north side of the City. The Phoenix Park is only 500 metres away, the City Centre 4kms and the M50 Motorway 2kms. There are numerous social, sporting and recreational clubs/facilities in the local community and an excellent choice of national and secondary schools. 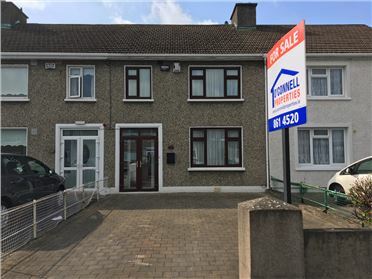 O’Connell Properties are delighted to bring to the market 30 Kinvara Avenue, Navan Road, Dublin 7. A 3 bedroom terraced family home located in one of the most desirable residential locations on the north side of the City. There is a front garden with driveway with off-street parking and a very large landscaped back garden extending to over 50 meters in length. Accommodation extends to c.108 sq. metres and comprises an entrance hall, extended kitchen, living room, dining room at ground floor level. Upstairs has 2 double bedrooms, a single bedroom and bathroom. The property is in need of some modernisation but has the potential to make a beautiful family home and given the size of the back garden there is considerable scope to extend the property. Also there is a block built garage at the rear of the garden and lane access. Located just off the main Navan Road one of the most desirable residential locations on the north side of the City. The Phoenix Park is only 500 metres away, the City Centre 4kms and the M50 Motorway 2kms. There are numerous social, sporting and recreational clubs/facilities in the local community and an excellent choice of national and secondary schools. 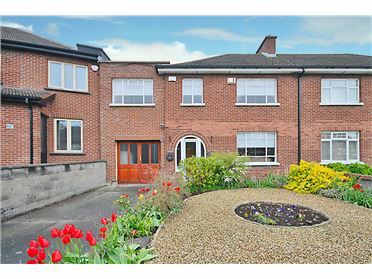 O’Connell Properties are delighted to bring to the market 65 Ard Cluain, Clonee, Dublin 15. A stunning 2 bedroom, 2 bathroom apartment with stunning views over beautiful countryside. This property is in excellent condition throughout and will make a fantastic home or alternatively a profitable investment. There is ample underground car parking and sunny south facing balcony area. A large, bright and spacious apartment with many extras including superior bathroom and kitchen fixtures and fittings, wood flooring, high ceilings and sunny balcony area. Accommodation extends to c.80 sq. metres and comprises an entrance hall, 2 double bedrooms (master with en-suite), a family bathroom, Kitchen/dining room and large open plan Living room with door to a sunny south facing balcony area. 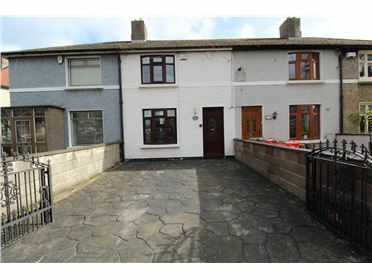 The property is located in Clonee Village and close to shops, schools and transport links. The M50 Motorway and Blanchardstown Shopping Centre are 5 minutes’ drive and Dublin City Centre 20 minutes’ drive. There are numerous social, sporting and recreational clubs/facilities in the local community and an excellent choice of national and secondary schools. EXCLUSIVE PENTHOUSE APARTMENT!!!!!!!!!! 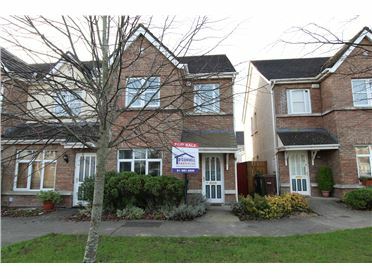 O’Connell Properties are delighted to bring to the market 14 Lillys Court, Ongar, Dublin 15. 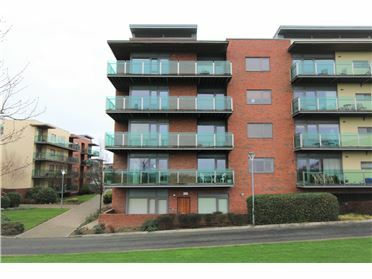 A stunning 2 bedroom, 3 bathroom penthouse apartment. This property is in excellent condition throughout and will make a fantastic home or alternatively a profitable investment. There is ample car parking and sunny balcony area. A large, bright and spacious penthouse apartment with many extras including superior bathroom and kitchen fixtures and fittings, wood flooring, high ceilings and sunny balcony area. Accommodation extends to c.125 sq. metres and comprises an entrance hall, 2 double bedrooms both with en-suites, a family bathroom, Kitchen/dining room and large open plan Living room with door to a sunny balcony area. The property is located in Ongar Village and only 5 minutes’ walk to Hansfield train station and Clonsilla train station and close to shops, schools and transport links. The M50 Motorway and Blanchardstown Shopping Centre are 5 minutes’ drive and Dublin City Centre 20 minutes’ drive. There are numerous social, sporting and recreational clubs/facilities in the local community and an excellent choice of national and secondary schools. 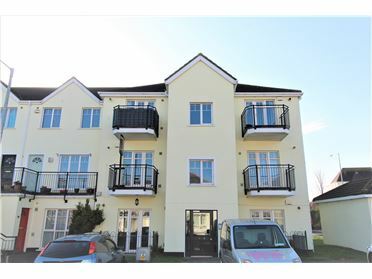 O’Connell Properties are delighted to bring to the market 77 Quarry Road, Cabra, Dublin 7. A well-presented 2 bedroom terraced family home. This house is presented in good condition throughout and has a good size sun room extension at the rear of the house. There is a large front garden with driveway and sunny back garden with block built shed. Accommodation extends to c.82 sq. metres and comprises an entrance hall, Living room, kitchen /dining room and sun room extension at ground floor. Upstairs has 2 double bedrooms and a bathroom. The property would benefit from modernisation and redecoration but has the potential to make a fantastic family home. 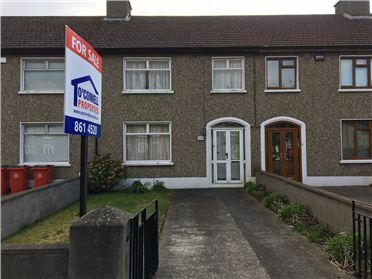 Located in the Cabra area of Dublin 7 and close to shops, schools and transport links. The new Luas train station is a short stroll away, the Phoenix Park is only 2km away, the City Centre 4kms and the M50 Motorway 3kms. There are numerous social, sporting and recreational clubs/facilities in the local community and an excellent choice of national and secondary schools. O’Connell Properties are delighted to bring to the market 67 Latchford Square, Clonsilla, Dublin 15. A beautifully presented 3 bedroom semi-detached family home with large well finished attic conversion. This property is finished to a very high standard throughout and will make a fantastic ready to go family home. There is ample parking to the front of the house and a landscaped south facing back garden. Including the attic conversion accommodation extends to c.118 sq. metres and comprises an entrance hall, living room, open plan kitchen/dining room and guest WC on ground floor. Upstairs has 2 double bedrooms (master en-suite), a single bedroom and family bathroom and the attic conversion is large bright and spacious room completed to a very high standard and include’s Velux windows and storage closets. Located in the Clonsilla area of Dublin 15 and close to shops, schools and transport links. The M50 Motorway is 2km and the City Centre c.10kms. There are numerous social, sporting and recreational clubs/facilities in the local community and an excellent choice of national and secondary schools. 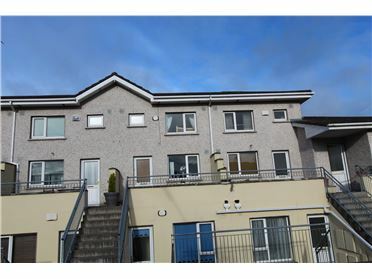 O’Connell Properties are delighted to bring to the market 11 Parkside View, Nephin Road, Dublin 7. A beautifully presented 2 bedroom duplex apartment located in a quiet private development less than 3Kms from the City Centre. This property is in superb condition throughout and will make a fantastic family home or alternatively a profitable investment. Accommodation is over 2 floors and extends to c.62 sq. metres. The 1st floor accommodation comprises an entrance hall, a living room, kitchen/dining room and the 2nd floor has 2 double bedrooms and 2 bathrooms. There is a sunny south facing balcony area to the front of the property and ample parking. The apartment is very tastefully decorated and will provide the purchaser with a “ready to go” home. Located on Nephin Road between the Navan Road and Phoenix Park in one of the most desirable residential locations on the north side of the City. The Phoenix Park is only 200 metres away, the City Centre 3kms and the M50 Motorway 2kms. There are numerous social, sporting and recreational clubs/facilities in the local community and an excellent choice of national and secondary schools. O’Connell Properties are delighted to bring to the market 4 Holywell Way, Gorse Hill, Swords , Co Dublin. A beautifully presented 2 bedroom ground floor apartment with small terrace to the front. This property is presented in good condition throughout and includes double glazed windows and mains gas heating. Accommodation extends to c.61sq. metres and comprises an entrance hall, open plan Living/dining room, kitchen, 2 double bedrooms, a bathroom and small storage room. Located in the Gorse Hill area of Swords and only a 10 minute walk to Swords Village. The M50 Motorway is only 2kms away and the City Centre is c.10kms . There are numerous social, sporting and recreational clubs/facilities in the local community and an excellent choice of national and secondary schools. O’Connell Properties are delighted to bring to the market 50 Glenesky Square, Phoenix Park Racecourse, Castleknock, Dublin 15. A beautifully presented 2 bedroom, 2 bathroom apartment with stunning corner aspect and large corner balcony. This property is in excellent condition throughout and will make a fantastic home or alternatively a very profitable investment. There is private underground car parking and the convenience of shops, cafes and gym in the complex. Accommodation extends to c.82 sq. metres and comprises an entrance hall, 2 double bedrooms, 2 bathroom, a kitchen and large open plan living/dining room which gives panoramic views over the old Phoenix Park Racecourse. Some of the extra features of this property include wood flooring throughout, superior kitchen and bathroom fixtures and fittings and mains gas heating. The property is located in Castleknock one of the most desirable residential locations in Dublin and only 5 minutes’ walk to Ashtown train station and close to shops, schools and transport links. The M50 Motorway is only 2 minutes by car and the City Centre 5km away. There are numerous social, sporting and recreational clubs/facilities in the local community and an excellent choice of national and secondary schools.